Greece is almost as old as time. The layers of history shaping this ancient culture are still being unfolded, sometimes with breathtaking results. Vast artworks, cities, and ruins are changing what scholars know about the ancient Greeks. Then there are the intriguingly rare tombs, strange skeletons, and unusual versions of old familiars. Incredibly, the region also recently revealed a fossil that could change the story of human evolution. During two excavation seasons in 2016 and 2017, archaeologists investigated an ancient harbor. It belonged to Corinth, once a bustling city in Greece that existed for thousands of years. Among the finds was a hoard of buried coins. They were discovered inside a building that had collapsed long ago. 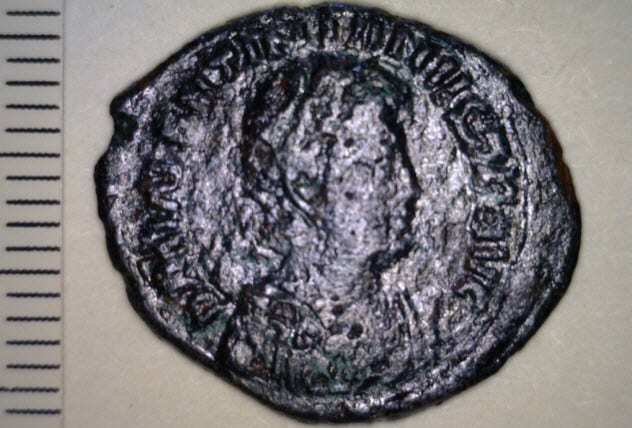 Most of the 119 coins were bronze and were minted during the reigns of different emperors of the Roman Empire. Together, they dated from AD 306–518. Researchers strongly believe that somebody buried the cache on purpose because it came with an iron lock. Perhaps as time went by, the organic-type container holding the stash decomposed, but the lock survived. Sometime after hiding the money, the building collapsed on top of it. Strangely, the owner never returned even though the money was reachable beneath the rubble. The loot was not deeply hidden. Whoever put it in the ground only dug about 30–40 centimeters (12–16 in) deep. In 2018, a farmer on Crete parked his car. He chose a shady spot under a tree on his property outside of Kentri. During a scary moment, the earth under his vehicle sank but the farmer managed to drive to safety. Curious, he walked back and was amazed to see the remains of something ancient far below. Archaeologists were ecstatic. 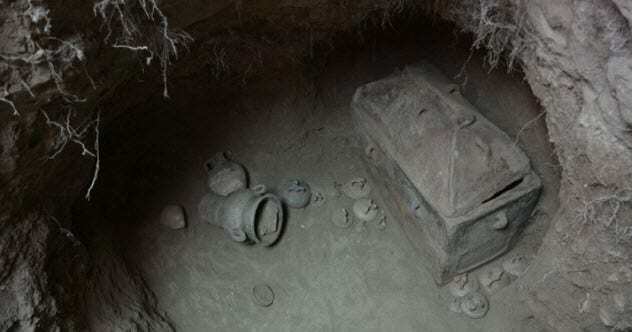 It turned out to be an undisturbed Minoan grave (1400–1200 BC). 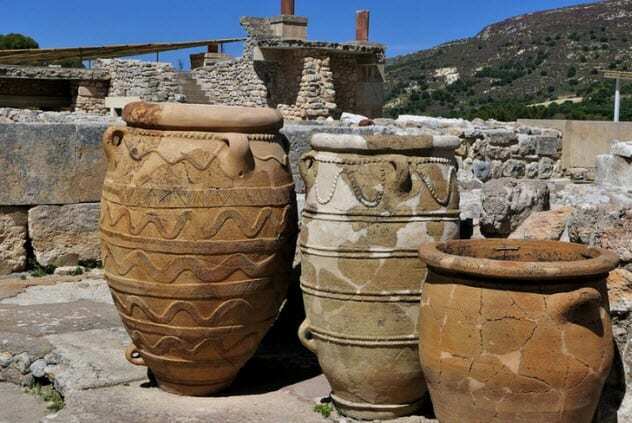 A lot of the Minoan culture’s history remains missing. This makes any site that hasn’t been looted very valuable. Once a place is robbed, many of the artifacts lose their context, even those that remain behind. This tomb was an underground affair carved from limestone to shape three areas. There were two larnakes (clay coffins with embossed details), each containing a man. They were buried with colorful and high-quality pottery, including 14 amphorae, which suggested the pair enjoyed high status in life. Ancient masons sealed the tomb and preserved the contents for thousands of years. At the root of many legends stands the city of Tenea. Said to have been founded by Trojan war captives, the Greek settlement thrived on the Peloponnese until the sixth century. Tenea’s location was known but seemed empty of archaeological finds. In 2018, the city delivered in a big way. Earlier in the year, the graveyard outside Tenea yielded seven tombs. The quality of the grave goods provided evidence of an old suspicion—Tenea was small but wealthy. A ring adorned with Egyptian gods, plenty of jewelry made of gold and bronze, vases, and coins accompanied the dead. When archaeologists returned in October, they made a landmark discovery. The previously bland settlement produced the first residential ruins. The rooms also showed a marked opulence. Walls were plastered, and floors were crafted from clay, stone, or marble. Other finds included a clay pipeline, ceramics, and coins suggesting a period of affluence around AD 200. The most unusual thing was recovered from one of the buildings’ foundations—a burial jar containing two babies. The first Olympic Games were held in Olympia in Greece. Today, the region remains a hotbed for archaeologists. A recent survey investigated the Sanctuary of Olympia, a collection of ancient temples and other religious buildings. Ironically, while digging in an old trash heap left by the Romans, archaeologists found a remarkable artifact. It was a clay tablet fired sometime before the third century AD. The date made its content very special. The slab contains 13 verses of the 14th book of The Odyssey. The fragment is now considered the oldest written version of Homer’s epic poem that includes the first eight verses. The complete poem was penned in the eighth century BC and ran 12,000 lines. 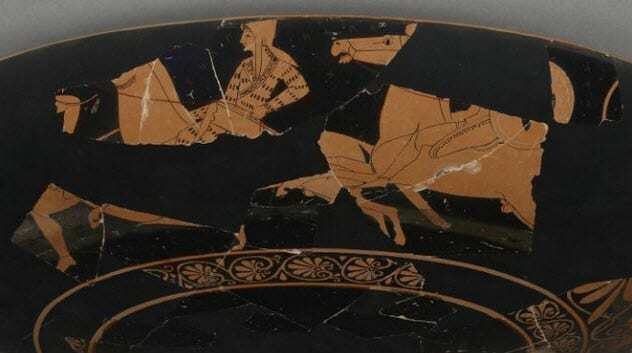 The fragment contains a scene where Odysseus returns home from the Trojan War. Nothing similar to the tablet was found at the Olympia sanctuary. Researchers are still trying to understand how it ended up there and what it was used for. Such answers could explain why the discarded slab contained a slightly different version of the story than the one told in later copies. Founded in 300 BC, the Greek city of Zeugma was one of the Roman Empire’s pivotal trade centers. 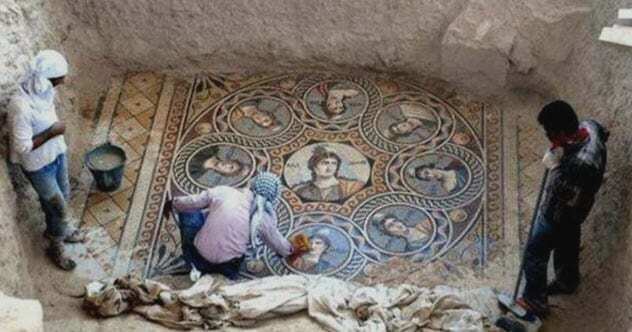 In modern times, it stands in Turkey and is known for some of the most breathtaking mosaics from the ancient world. In 2014, a team worked on-site as part of a long-term project designed to save the settlement’s mosaics from water damage. They decided to head toward a building called Muzalar House. This massive residence probably belonged to a wealthy family. What they found inside supported the notion. Three new mosaics, packed with detail and color, greeted the archaeologists. The most stunning was an enormous scene depicting the nine Muses. At the center was Calliope, described by an ancient Greek poet as the most talented of the muses and patron of the arts. Her beautifully rendered face was surrounded by those of her eight sisters. The artwork’s theme was not random. Homeowners chose images to highlight their interests. The muses meant that Muzalar House liked intellectual gatherings or parties, most likely both. Around 1,800 years ago, a woman was buried on the small island of Sikinos. Her grave was robbed a couple of centuries ago, but other than that, she remained undiscovered until 2018. Grave goods announced her as a noblewoman, and the body was adorned with gold, including bracelets, a necklace, and rings. The tomb was found in the vault of a rare building. Constructed during Roman times, the burial memorial later became a Byzantine church and monastery. Today, the building is known as the Episkopi monument. The entire site is an exceptional find. Likely built to protect the woman’s remains, the mausoleum stood as one of the most impressive and best-preserved in the Aegean region. Even better, archaeologists could link it to somebody’s name. 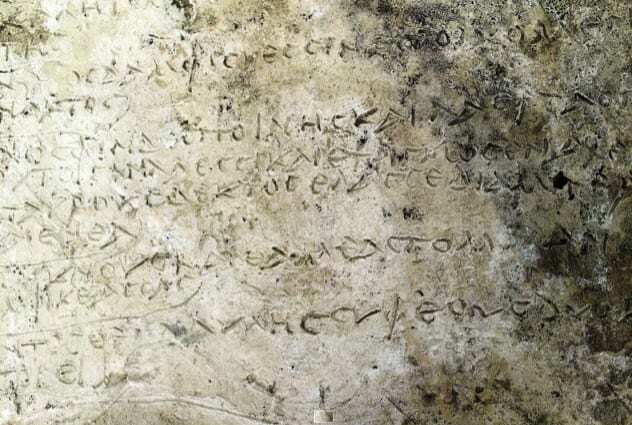 Written on the grave in Greek letters was the name “Neko.” This rare treasure survived almost intact because it was sandwiched between walls and the building’s basement in such a way that nobody realized it was there. In 2018, archaeologists found ruins that changed the alcoholic history of Greece. The ancient Greeks consumed wine with gusto. No evidence existed that they used any other alcoholic beverage. 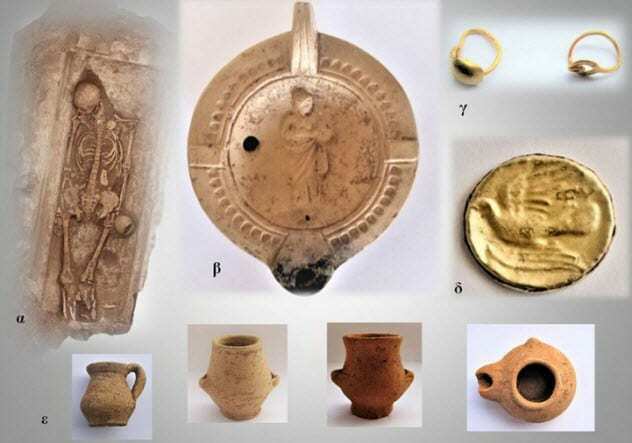 Recently, ruins were unearthed at two sites—Archondiko in the north of Greece and Agrissa closer to the east. At both, the buildings had been destroyed by fire. The inferno preserved plenty of artifacts, and some unexpectedly suggested the sites were breweries. 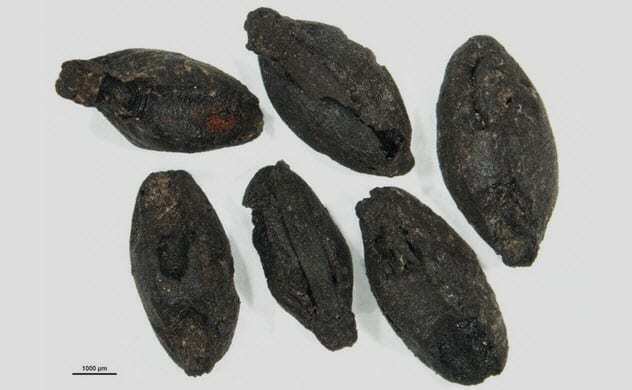 The best clue was the discovery of cereal grains. Found at both locations, they had just started growing when the fire occurred. Part of the beer-making process calls for malting, or cereal sprouting. The sprouts also dated both sites to the Bronze Age, as early as 2100 BC. Additional evidence that ancient Greeks enjoyed beer included drinking cups at each site and at Archondiko, a double chamber that held temperatures below 100 degrees Celsius (212 °F). For a beer-making facility, this made sense. The later stages of brewing require an environment of around 70 degrees Celsius (158 °F). 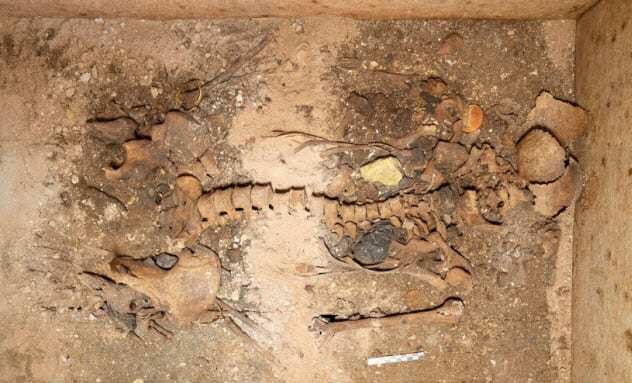 In 2009, archaeologists examined a 3,000-year-old grave on Crete. It contained a woman from Eleutherna, an ancient Greek city. Compared to other female burials, the woman’s skeleton was unusual. When she died, aged 45–50, her body was very muscled on the right side. Cartilage in a knee and both hips were nonexistent. Curious about the unique development (and damage), researchers created digital models and also used real people. Both groups performed tasks while the physical results were studied. Things came to a dead end when spinning wool, loom weaving, baking, and working the land did not produce a match. Amazingly, a chance encounter with a local woman solved the mystery. As a master ceramicist, she demonstrated the production of large artisan vases. When she explained the craft’s physical demands, the shoe dropped. A lifetime of making giant pots explained the skeleton’s state. Working the kicking wheel damaged the leg joints, and leaning to shape the clay strengthened her right side. This is also the first woman employed as an expert ceramicist to emerge from ancient Greece. For this reason, it was decided that the footprints were made by a hominin. These primates were closer to humans than the apes. But the creature, who walked on Crete 5.7 million years ago, stepped on a very modern nerve. Officially, the region’s first hominins arrived only millions of years later. This was the tinder that caused a fire in the scientific community. There is an old theory that humans evolved in Europe and not Africa. It has been debunked, and the scholars who found and classified the Crete tracks as hominin agreed that humans evolved in Africa. Even so, they were accused of pushing a Eurocentrism agenda. If these footprints are proven to be hominin tracks, it may well rock the boat. 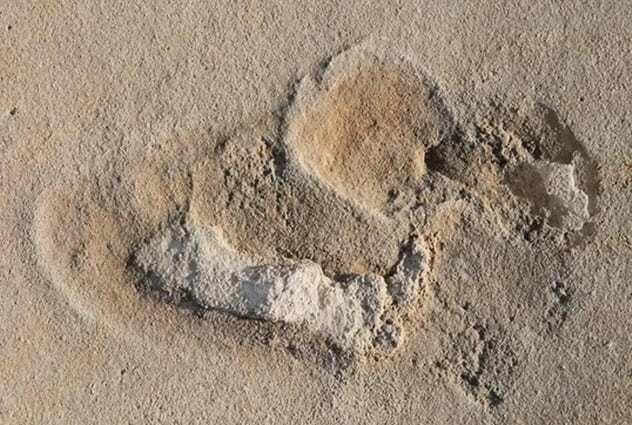 The Crete walker strolled along two million years before the oldest acknowledged hominin trackway, which is in Tanzania. For years, the gibberish written on many ancient Greek vases mystified researchers. The vessels had something in common: They depicted Amazons, the female warriors from the realm of the Scythian nomads near the Black Sea. Greek writing surrounded the women, but the words made no sense in the Greek language. A breakthrough came in 2014. Scholars knew the Greeks battled the Scythians but also admired the Amazons. So, why produce ornate vases about them and then write nonsense all over it? A close study found the vases also showed gods. Nearby words revealed their names in clear Greek. This suggested that the rest might also be names. A dozen vases were chosen, and their “nonsense” was phonetically translated. To make sure that the results were as organic as possible, an expert linguist analyzed the phrases without knowing the project’s details. It turned out that the Greeks wrote Amazon names phonetically, giving researchers an earful of a language (Circassian) that had not been spoken for almost 3,000 years. The gibberish revealed interesting names, including Don’t Fail, Princess, Hot Flanks, Battle-Cry, and Worthy of Armor. Read more incredible stories about ancient Greece on 10 Incredibly Bizarre Ways People Died In Ancient Greece and 10 Truly Disgusting Facts About Ancient Greek Life.